SKU: 445FS. Categories: Air Compressors and Tools, Carpet and Hardwood Floor, Floor Care Equipment, Home Maintenance, Home Remodeling. 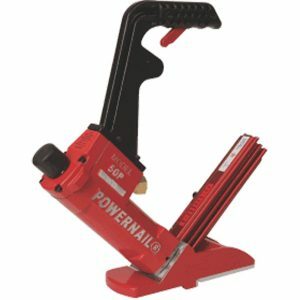 The Powernail Model 445FS is a mallet-actuated, pneumatic stapler and uses the same proven design that has made Powernail the standard of the commercial flooring industry for over 65 years. You can be assured that the Model 445FS Power Roller will stand up to the rigors of daily use for years; and, it will help you install a floor you can be proud of. 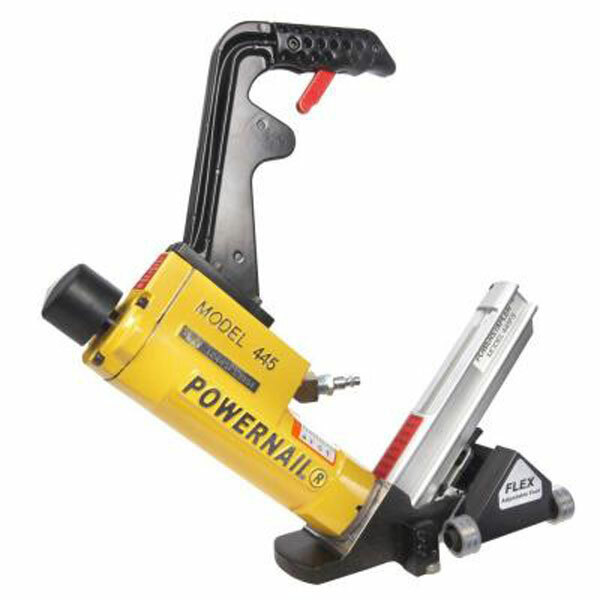 The 445FS Powerstapler is recommended for use on 1/2″, 5/8″, 3/4″ and 33/32″ Tongue and Groove flooring.